This article features organizations in Eliot to help our residents learn what exciting opportunities are located in our amazing neighborhood. Volunteers are needed all year long. Part 1 of 2. Reverend Maria McDowell the new priest at St Phillip the Deacon. St. Philip the Deacon Episcopal Church is an historic African-American and diverse community church located in the Eliot Neighborhood. The Reverend Dr. Maria McDowell has recently become the newest priest-in-charge, and yes, she is a woman! 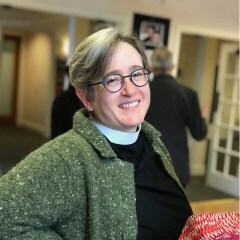 Rev’d Dr. Maria is from Portland and has studied theology at schools in Los Angeles and Boston. She always knew that she wanted to serve so that she can do what she loves – to teach and think deeply with others about things that matter. She loves being with people where God and life meet, where the rubber hits the road. Greater Mt. Gillard Missionary Baptist Church, Stanton & Rodney. Churches are benchmarks of communities. Inherent in every church is a sense of community. 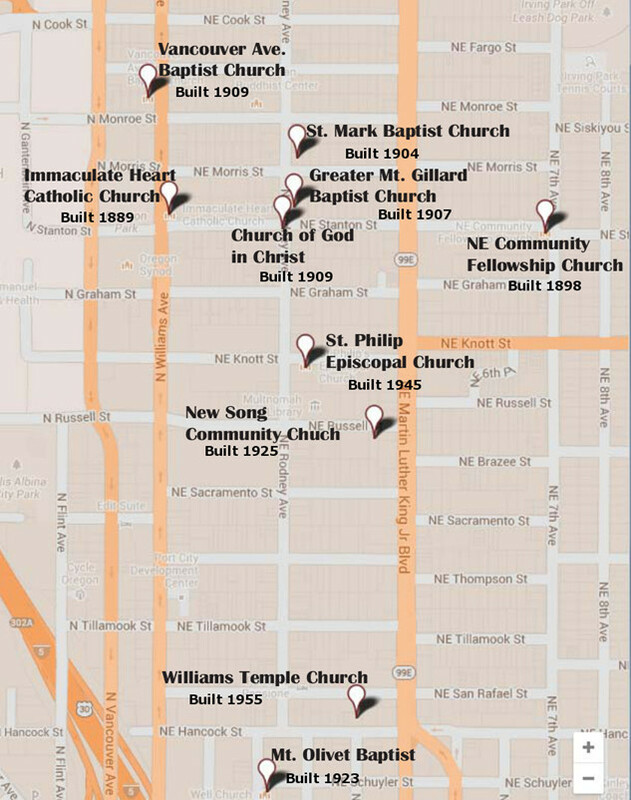 Through learning the histories of the churches in our neighborhood we can learn the history of our neighborhood. We can also see the way things have changed and plan for our future. More than 20 churches rest within and just beyond the Eliot boundaries. These are a few of them. 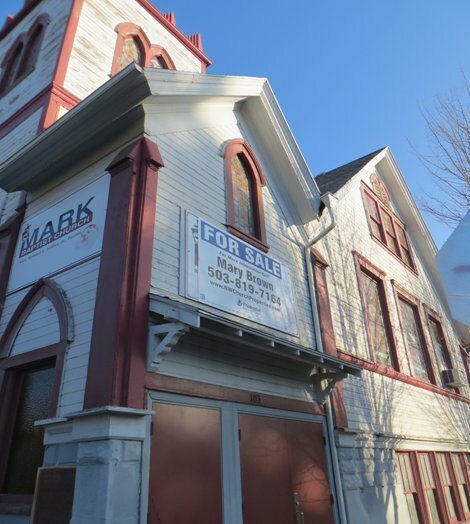 The Vancouver Avenue First Baptist Church is pleased to announce its Capital Campaign Improvement Project to renovate its lower level spaces of their Historic Church site listed on the National Register of Historic Places. 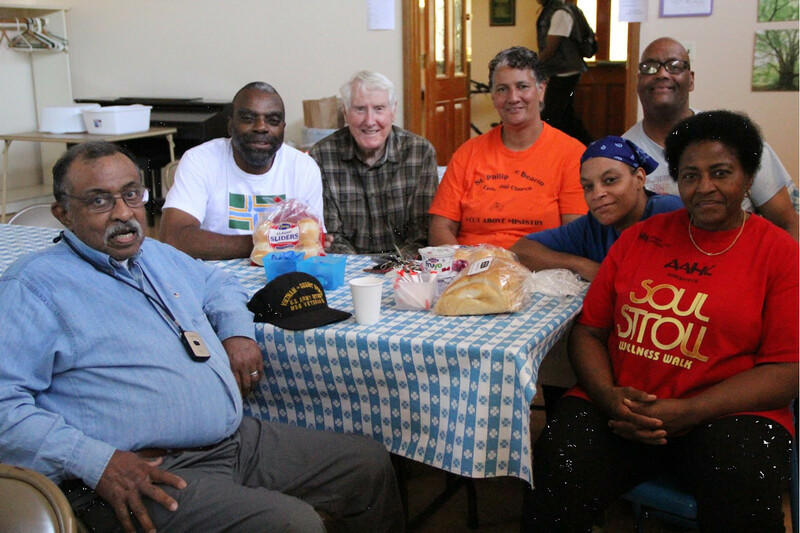 Through this endeavor, the church is committed to fostering community livability and greater communal participation among its neighbors, by connecting cultural engagements, along with providing adequate spaces for educational programs for youth, and social service programs offered by the church. 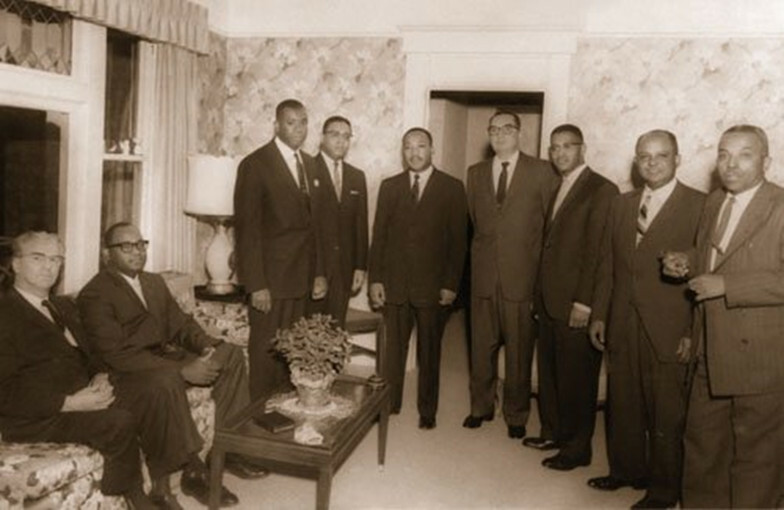 Dr. Martin Luther King Jr. at the Vancouver Ave Baptist Church in 1961, meeting with the clergy from the church and its neighbors. Photo courtesy Portland Observer. On​ ​May​ ​18th,​ ​in​ ​the​ ​basement​ ​of​ ​the​ ​Vancouver​ ​Avenue​ ​Baptist​ ​Church,​ ​city representatives​ ​met​ ​with​ ​neighborhood​ ​homeowners,​ ​community​ ​leaders,​ ​city​ ​planners,​ ​and​ ​local historians​ ​to​ discuss​ ​the​ ​precarious​ ​future​ ​of​ ​the​ ​neighborhood’s​ ​homes.​ ​​ ​Finding​ ​the​ ​city’s properties​ ​with​ ​historic​ ​significance​ ​and​ ​protecting​ ​them​ ​from​ ​development​ ​is​ ​the​ ​goal​ ​of​ ​a​ ​new grant-funded​ ​partnership​ ​between​ ​the​ ​city’s​ ​Historic​ ​Preservation​ ​Program​ ​and​ ​the​ ​Architectural Heritage​ ​Center. In a small corner of NE Portland sits an old established parish, now home to the Eliot Neighborhood Association, and the Land Use and Transportation Committee meetings. Unknown to neighbors is the re-emergence of The Youth Café at this location. The program is geared for school aged youth up to the age of 18 to help work on academic tutoring, teaching life skills, nutrition and health, and incorporating fitness components into their daily lives. 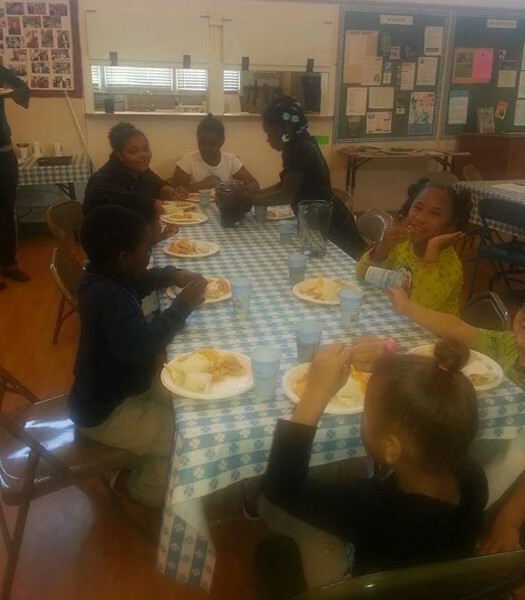 This is a public non-profit program that is founded in the church but is welcoming all community members. 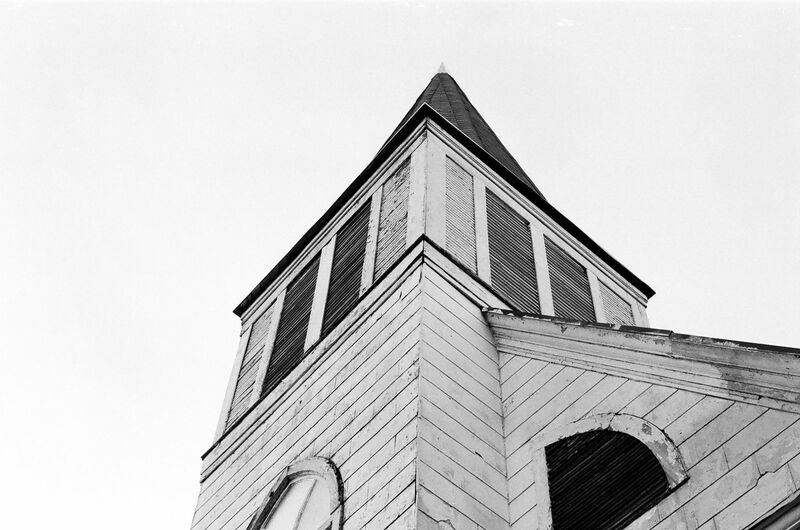 The churches of Eliot are a rich historic and cultural asset to the neighborhood. There are at least ten churches in the neighborhood today and most were built in the early 1900’s with Immaculate Heart dating to 1889. When I sent the moldings in my home off to the stripper, I noted the name on the back appeared to be German. I also suspected the owner worked for the railroad because the front door is a custom size, probably to accommodate a window in the shape of a Union Pacific shield, which dates from the 1880s, and my home was built in 1908. A recent Oregonian article, (“NE Portland church tells story…” 1/12/2013) confirmed these suspicions. Although the article warned of the potential tragic loss of churches founded by German immigrants, it noted that these settlers were from the Volga region of Russia. The July 6 issue of The Oregonian features an article about fundraising efforts to rebuilding the Morning Star Missionary Baptist Church, which was destroyed by fire in February. Bottom line: the church needs to raise a lot of money. Unfortunately, the article did not say where to send donations. Like the Eliot Neighborhood in general the church at the corner of Ivy Street and Rodney Avenue has a long and rich history. 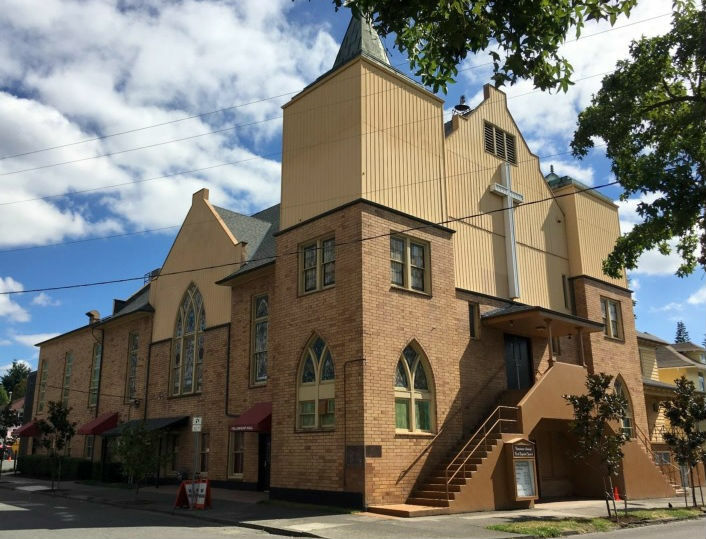 In 1890 the Trinity German Evangelical Lutheran Church of Albina was founded by the German missionary Reverend Edward Doering. The first church building, including a school in the daylight basement, was on the corner of Williams and San Antonio (now NE Graham St) in 1892. Near midnight on Monday February 5th, the Morning Star Baptist Church caught fire. Flames could be seen over homes and treetops throughout the neighborhood. By 1:30 am many residents were still gathered in disbelief sharing stories of the historic church.